We had a great time learning about abstract vs realism. 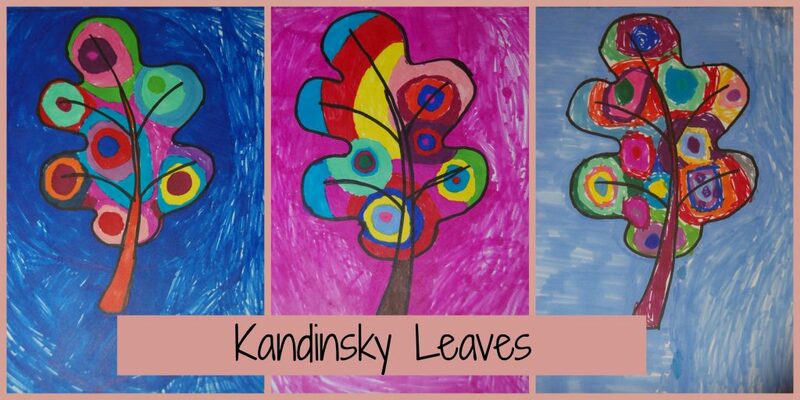 Kandinsky was our inspiration for these leaves. Wassily Kandinsky was a Russian painter that was the first true abstract artist. His use of color is what he is most famous for. 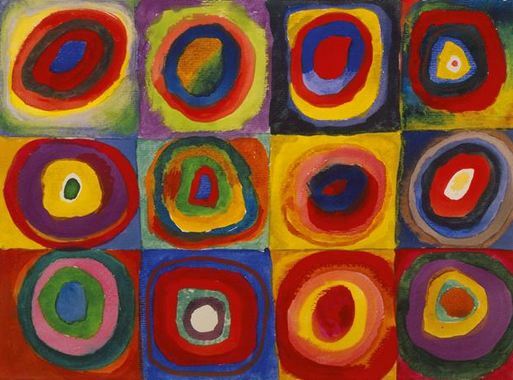 Kandinsky’s “Color Study; Squares With Concentric Circles” painted in 1913 was our inspiration for this project. I found a great study guide on Kandisky here. great project Isa would really enjoy this technique ... me too! what a amazing project, what fun! my oldest is taking art classes and just learned about kandinsky too!! What a great project! As a former art student this would be fun for me too! 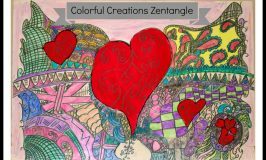 This is a beautiful art project that my kids would love to do! It is such a lovely project. 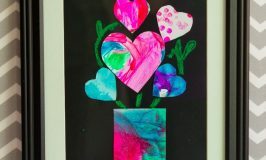 This is such a cute art project for the kids! Looks like a great project and a great way to learn about art! This is a great post!! I teach first grade and I am always looking for art projects!! Love ones that teach a technique!! What a great way to share art with your little one. I think this is a great Fall project! such a great project. we may have to add this to our artist studies. This is beautiful. What a fun project. These are gorgeous. I've been trying to think of fun art projects for my kids that centered around famous artists. Thanks for the great idea. 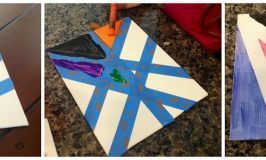 I love having art projects for my children while learning about different techniques. Thanks for the link! I actually want to sit down and do something myself like this! nice job, love the designs and the colors she used! I have always enjoyed art projects that allow me to teach my children about the art by recreating it themselves. 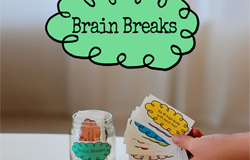 Super fun project for kids!!! Bulls eyes in different colors are so eye catching! what a great art project! THat's a fun art project. Love all the colors. This is such a lovely project. I love your inspiration! So pretty and colorful I'd love to see what my son could do with this! This Kandinsky Leaves Art Project looks like a lot of fun! I had no idea who did the first abstract painting. This would be something my oldest daughter would love doing! thanks for sharing! I liked it, so colorful, full of life! I'll check this out for my 6 years old, she liked art! This is amazing. 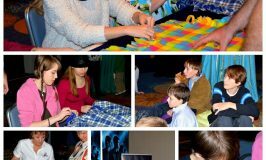 It's a great way to teach kids a little bit of culture while still having fun. Very pretty! I love Kandinsky! my son is quite the artist, I think he would really enjoy taking part in a project like this. What a great home-school project! What a super fun leaves art project! 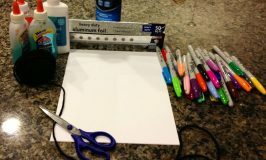 I am putting a list of crafts to do with my niece and nephew over the holidays, thanks for sharing!! Love the leaves as a touch of fall but bringing the fun of spring back with the colors. Beautiful. How beautiful! 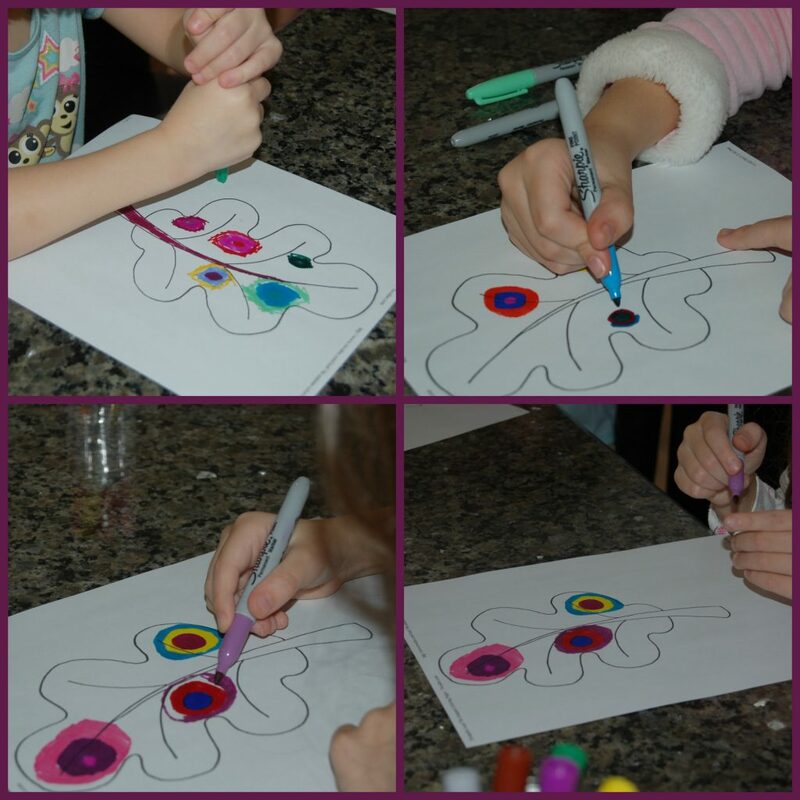 I don't know artists or techniques, but I love this activity all the same! That's definitely something my little girl could do, and I know she'd love it! I love these!! Kandinsky is one of my favorite artists, and these turned out so awesome! that's beautiful!! Saving this lesson idea for a future art lesson at our place. ;-) Thanks for linking up to the Virtual Fridge!